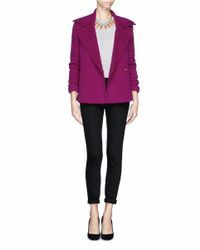 See more St. John Blazers and suit jackets. 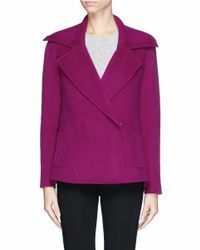 We check over 450 stores daily and we last saw this product for $1,046 at Lane Crawford. 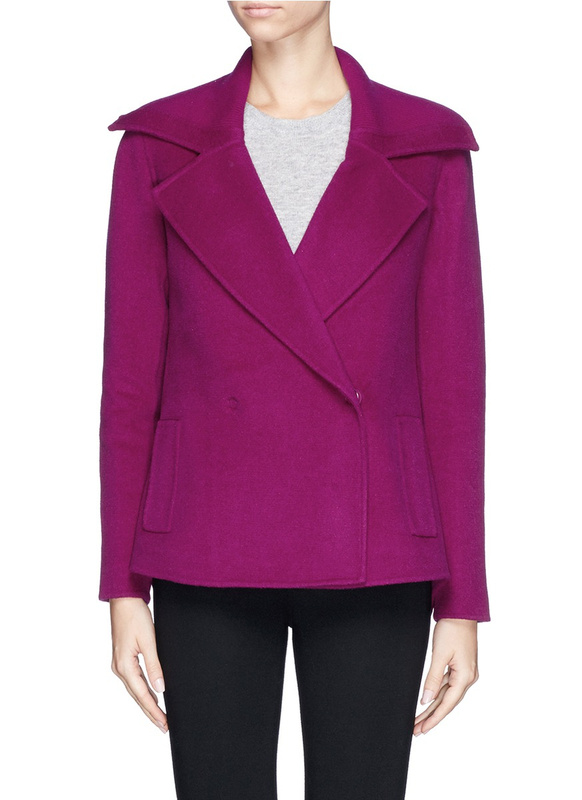 This handmade blazer from St. John adds a vibrant spin to its classic style with a hue of magenta. 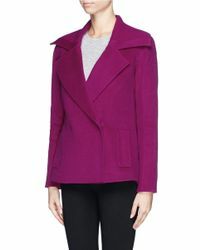 Updated with a ribbed wide notched lapel and concealed double breasted button fastening, this piece will lend a twist to your executive look. Designer colour: Boysenberry. 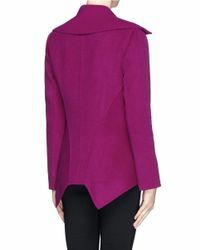 Magenta felted wool-cashmere-angora blend. 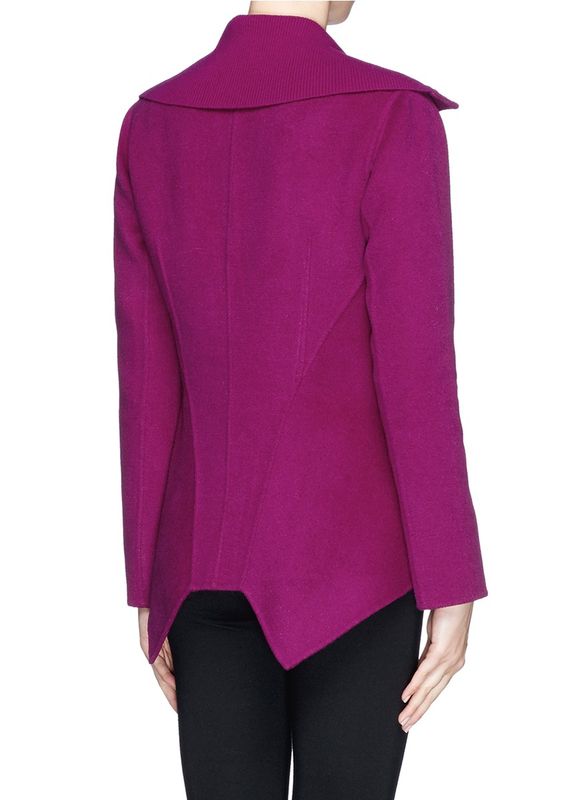 Ribbed wide notched lapel. 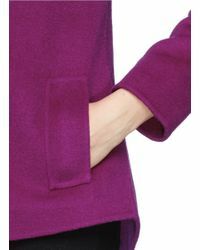 Concealed 2x1 double breasted button front fastening and two slanted side pockets. 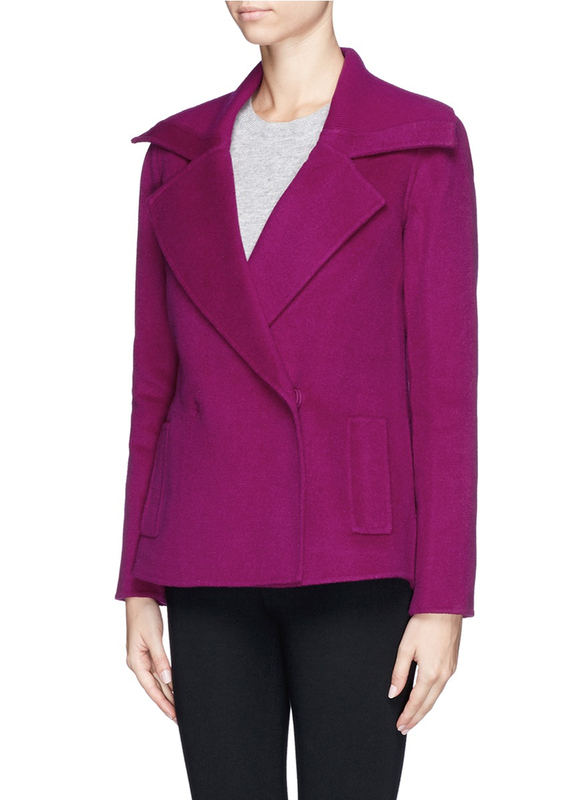 65% Wool, 20% Angora, 9% Nylon, 6% Cashmere. Product measures: Length 69cm/ Shoulder 38.5cm/ Bust 43cm/ Waist 40cm. Relaxed fit. True to labelled size.